"I retired at 24," says Samuel Alemayehu, as we look out over the vast, stinking rubbish mountain in the heart of Addis Ababa. Birds shriek as they swoop down to collect items from the heaps of waste. Human scavengers, faces grey with dust, pick through the filth. All this against the background of a modern cityscape, the skyline thick with construction cranes as the capital's building boom races on. Samuel, who does not look much older than 24, tells me how his family went into political exile in the US when he was a child. 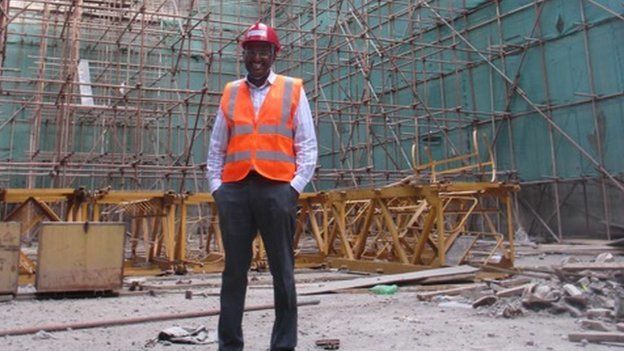 How his father, who was an MP in Ethiopia, had to become a taxi driver. But Samuel was exceptionally bright and ended up with a scholarship to study engineering at the prestigious Stanford University. He made his fortune in Silicon Valley while still a student. "It was time to go home. To use my resources and knowledge to do something for my country," he said. For all his talk of retirement, Samuel is a very busy man. He is building Africa's first waste-to-energy plant where the city's rubbish will be burned at a temperature of up to 1,800 degrees Celsius and converted into 185 million KW of electricity. He is one of a group of dynamic entrepreneurs who are helping to usher in a new era of rapid economic growth in what was once one of the world's poorest countries and where the political system is tightly controlled. 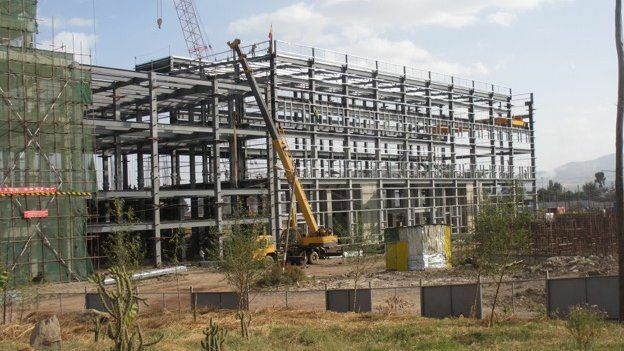 Samuel says once the facility is operational, it will be able to supply power to more than 30% of Addis Ababa's households, no small feat in a city with a population of four million. There is an urgent need to increase the power supply, which is currently failing to keep up with Ethiopia's rapid economic growth of more than 10% a year for the past decade. The focus is on renewables. The most ambitious project is the Grand Ethiopian Renaissance Dam, which will be Africa's largest source of hydroelectric power. The dam has generated much controversy because of the forced movement of people and because Egypt, which is downstream, is worried it will restrict vital water supplies. After my tour of the energy facility, I visit another entrepreneur, Harsh Kothari. Although he is Indian, Harsh is in some ways more Ethiopian than Samuel. His family has been in Ethiopia for four generations, he was born and educated in Addis Ababa, and speaks fluent Amharic. "See that girl?" he says excitedly, as we drive past a child in her school uniform. "She is wearing my shoes." Again and again, we pass people wearing shoes made in Harsh's factory, from bright orange flip-flops to trainers made from local leather. The shoe factory is magical. Barrels are piled high with pigments and chemicals. Whirring, hissing machines heat and mix the plastic. Workers cut, stitch, lace, check, bag and box the shoes. My favourite place is the invention room, occupied by a solitary Indian wearing thick glasses. He is glueing strips of different coloured rubber together and playing about with strap widths to create unique flip-flop designs. This locally managed factory is giving the Chinese shoe factories in Ethiopia a run for their money.